While out at Macquarie Centre last weekend Will wanted to check out an arcade. Luckily, the movie theatre had a few games. 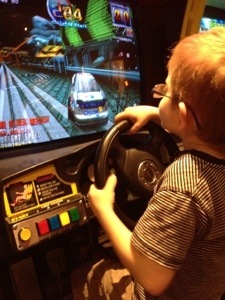 And Will had a go… Car racing, his favourite!